Our receptionists and team will attempt to accommodate all requests to the best of our ability. 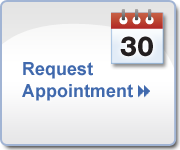 Emergencies are accepted anytime our clinic is open. If you feel you have an emergency with your pet, please call us or come to the hospital immediately. When possible, call us before you come for an emergency, or on the way in, so that we can have staff and equipment ready for you when you arrive. We have a Veterinarian and personnel on duty 6 days a week who are trained and equipped to handle any urgent care your pet has. Usually an emergency team consists of at least one Veterinarian and several technicians working together to save a pet’s life. Emergencies can be anything from toxin exposure, hit-by-car or other trauma, hyperthermia/hypothermia, respiratory distress, or anything causing your pet’s health to deteriorate very quickly, causing distress or unresponsiveness. If you are seeing these things your pet needs IMMEDIATE attention and you should call us on your way in. This is not a comprehensive list! If you are unsure, please call us and our reception team can triage your care before you arrive. Urgent care are cases that should be seen THAT SAME DAY, and include things like: acute and severe vomiting and diarrhea, inability to urinate or defecate, eye injuries, hot spots, seizures, bleeding that will not stop, bruising with no cause, pale gums, broken limbs, or crying out in pain. This again is not an exhaustive list; call us and we will triage you on the care needed and its timeliness before you arrive. Ganaraska Animal Clinic accepts payment via cash, check, MasterCard,Visa or Interac debit. So that we can continue to provide you high quality service utilizing the best medical technologies, we request that payment be made at the time services are rendered. Ganaraska Animal Clinic offers discounted services to local area rescue groups. Pre-approval is required to qualify for the rescue group discounts, please call us for more information.